If you are wearing your seat belt properly adjusted and you are sitting upright and well back in your seat with both feet on the floor, your chances of being injured or killed in an accident and/or the severity of injury may be greatly reduced. Most U.S. states and Canadian provinces or territories specify that seat belts be worn at all times when a vehicle is being driven. Every person who drives or rides in this vehicle should use a seat belt at all times. Children should be properly restrained in the rear seat and, if appropriate, in a child restraint. 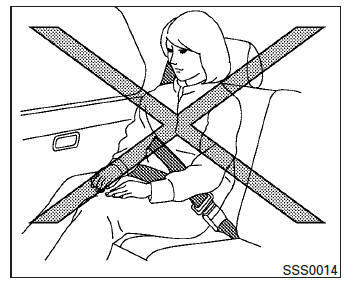 The seat belt should be properly adjusted to a snug fit. Failure to do so may reduce the effectiveness of the entire restraint system and increase the chance or severity of injury in an accident. 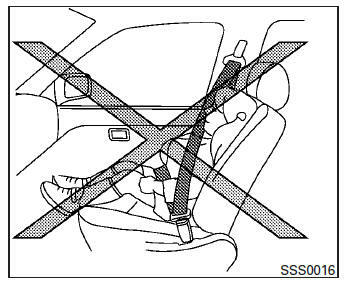 Once a seat belt pretensioner has activated, it cannot be reused and must be replaced together with the retractor.